Hello bloggy pluggy people! 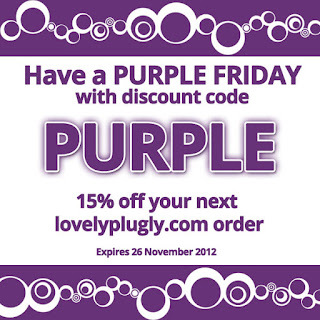 We were going to have a Black Friday 10% off sale thingy, but thought that a Purple Friday sale with 15% off everything* would be nicer. See that discount coupon code on your right? Well, it can't iron or make the tea, but it can be used on lovelyplug.com and our Etsy shop for a lovely 15% off discount. 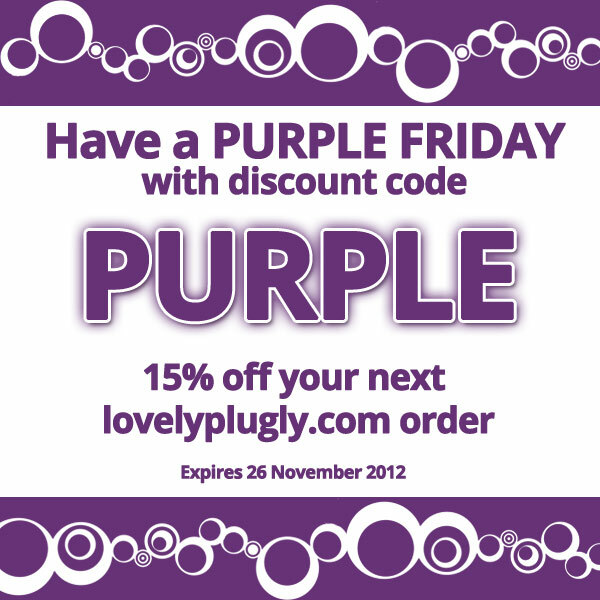 It's valid from Friday 23 November to Monday 26 November 2012. It'll also give you a further 15% off our Plug O' The Month, the lovely Ice Planet of Hoth Plug, so there's some nice savings there. And that's it. Coupon codes aren't very interesting to write about, unless they make the tea.